We know that Hindus are known to celebrate festivals with much joy and prayer, one such festival or pilgrimage is the Kumbh Mela. Kumbh Mela is a mass Hindu pilgrimage of faith in which Hindus gather to bathe in the sacred rivers in India. It is believed that by taking a dip in the holy water they will be blessed by the divine and the sins of their past will wash away. The Kumbh Mela is held every three years in 4 different locations and is the largest sacred holy gathering. 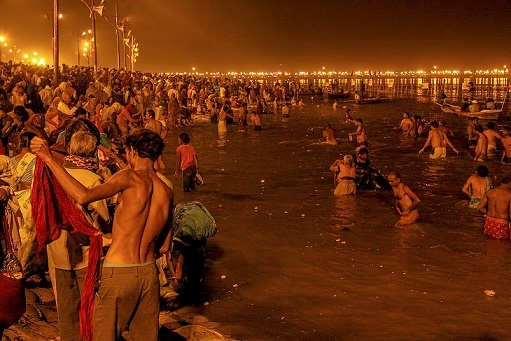 Kumbh Mela is held periodically in 4 different locations- Haridwar (Ganga river), Prayag (Triveni sangam of Yamuna, Ganga and Saraswati), Ujjain (river Kshipra), and Nasik (river Godavari). The exact age of the festival is uncertain. However, a popular legend is related with the event. 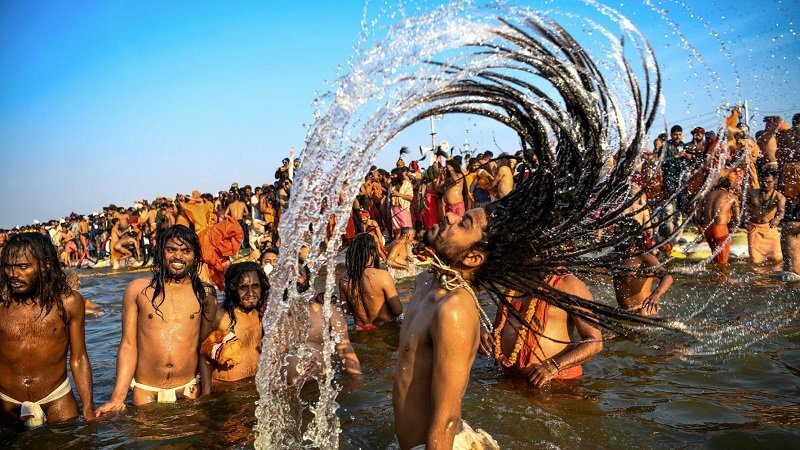 Several holy men from different Hindu sects attend the mela, such as the Nagas (who do not wear any clothes), Kalpwasis (who bathe thrice a day) and Urdhawavahurs (who believe in putting the body through severe austerities). They come to the Mela to perform sacred rituals pertaining to their respective groups. The first written evidence of the Kumbh Mela can be found in the accounts of Xuanzang, who was a Chinese traveller who visited India during the reign of King Harshavardhana. 'Kumbh' means nectar. Nectar that would provide an immortal life, it was also called the 'Amrita'. According to the associated Hindu legend, the gods and demons fought over this pot of nectar. However, in order to restore peace, Lord Brahma advised all the gods to churn out the nectar of immortality with the help of the demons. But when the nectar was finally churned the demons got to know of the gods' plan of not sharing the nectar, they chased them down for 12 days. It's during this chase that some of the nectar fell at the 4 different locations mentioned above. Lord Vishnu spilled drops of Amrita (the drink of immortality) at four places, while transporting it in a pot. These four places are identified as the present-day sites of the Kumbh Mela. 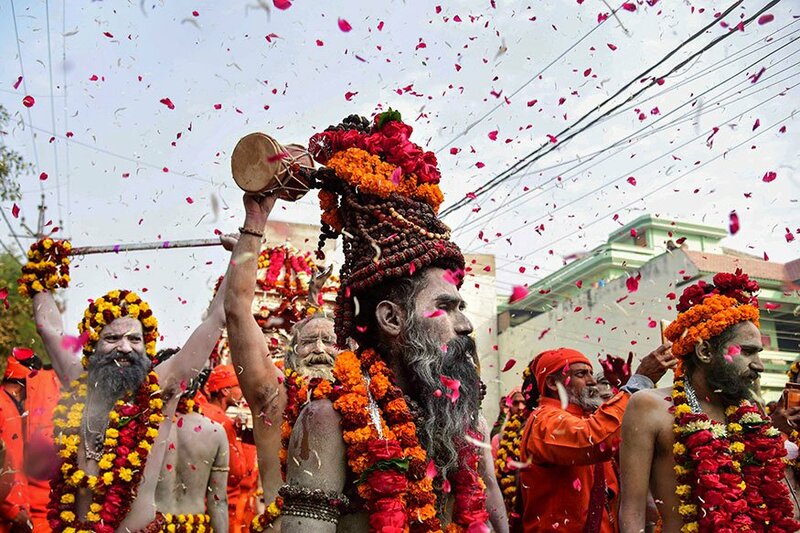 An estimated 120 million people visited Kumbh Mela in 2013 in Allahabad over a two-month period. It has also been inscribed on the UNESCO's Representative List of Intangible Cultural Heritage of Humanity.